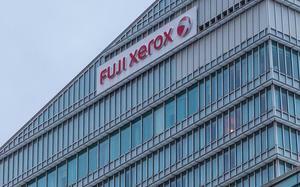 Kaspersky Lab says the latest version of the Duqu malware uses digital certificates from Foxconn. A deeper look into the latest version of malware known as Duqu shows it used digital certificates from prominent contract manufacturer Foxconn Technology Group to help mask its activity. 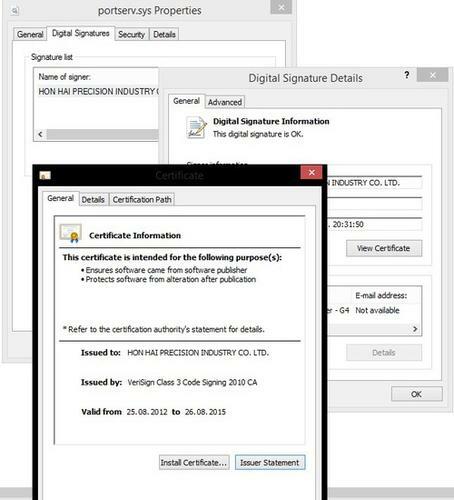 Kaspersky Lab, which published a report on Duqu 2.0 last week, wrote in a blog post Monday that a 64-bit driver within the malware employed a digital certificate signed by Hon Hai Precision Industry, also known as Foxconn. Digital certificates are used for encrypting data and verifying the legitimacy of websites and applications. Using a digital certificate issued to a trusted organization makes it less likely that an application is going to be detected as harmful. Companies and organizations usually employ high protections to prevent their digital certificates from falling into the hands of attackers. Occasionally, they're stolen and need to be revoked if it's discovered certificates have been fraudulently used. The group that created Duqu is considered to be one of the most sophisticated cyberespionage teams. Researchers have noted the malware appears to be related to Stuxnet, the worm developed by the U.S. and Israel to sabotage Iran's nuclear program. 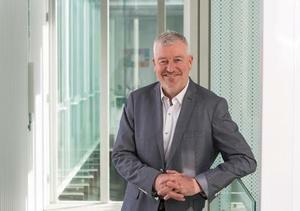 Soon after Duqu was discovered in 2011, the group behind it laid low. But last week, Kaspersky said it had found a more sophisticated version of Duqu designed to only run in memory and then disappear when a computer is rebooted. The driver signed with the Foxconn certificate helps Duqu communicate with other servers on the Internet. The driver is installed on firewalls and gateways, which avoids leaving log records in corporate proxy servers, Kaspersky said. Kaspersky has said its own systems were infected with Duqu 2.0. Further investigation showed that hotels which hosted recent negotiations over Iran's nuclear program were also affected. Duqu's creators appear to have a cache of digital certificates since no other malware has been found to be signed with the same ones. "That rules out the possibility that the certificates have been leaked and are being used by multiple groups," the company wrote. "It also seems to indicate the Duqu attackers are the only ones who have access to these certificates, which strengthens the theory they hacked the hardware manufacturers in order to get these certificates." The finding broadly undermines the trust that can be placed in digital certificates, Kaspersky said. Both VeriSign, which issued the certificate, and Foxconn, have been notified.